Las Vegas Mini Maker Faire is proud to be affiliated this year with our 2017 sponsors. As well, our 2016 sponsors are listed below. Interested in becoming a sponsor? Get your name out there and support your local Maker Faire today! businesses, media outlets, trade associations, and non-profit groups to get in on the ground floor of this exciting and enriching community and family-oriented event. 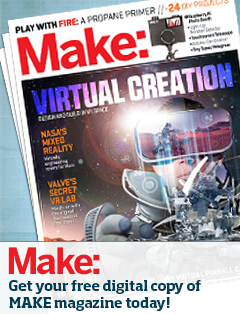 Las Vegas Mini Maker Faire is independently organized and operated under license from Maker Media, Inc.